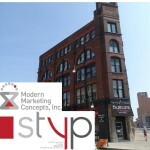 Join STYP and Modern Marketing Concepts, Inc. for a networking event at Burger Mondays Bar&Grille! There will be appetizers provided along with other specials to come – Hope to see you there! 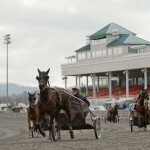 Join STYP for a night at Tioga Downs to watch Live Harness Racing starting at 6:30pm! Those who attend will get $10 free play, a free program and a voucher for 50% off dinner! One race will be named “STYP” race and we will have a group picture taken with the winning horse! 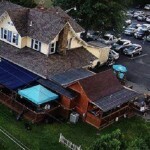 Join us for a mixer on the outdoor patio at Blind Tiger Pub and enjoy up to 36 beers on tap, great food and a live band! Specials to come – hope to see you there! ELIXIR band starts at 8 PM. 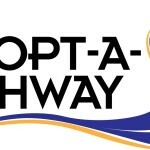 Join STYP in helping to clean up our new Adopt a Highway location, Exit 70N westbound on Route 17, just behind Food and Fire! Volunteers will meet in the Food and Fire parking lot at 9:00am. Forms, bags, reflective vests, and gloves will be provided for volunteers. Participants must fill out a form prior to participation (the day of is fine). Coffee and donuts will be available for everyone at the work site. To ensure that we have vests available for everyone, please email Kyle Nedlik at kbnedlik@gmail.com if you are interested in participating. OurSpace at Rec Park is an exciting opportunity to encourage our entire community to enjoy the historic Recreation Park in Binghamton, New York! OurSpace is revitalizing a 4 acre parcel of the City of Binghamton’s Recreation Park with a design that is fully adaptive and inviting for all members of our community. 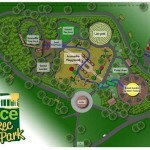 OurSpace’s unique design includes a new Adaptive Playground, a Tree Deck, Raised Garden Beds, Game Tables and Natural Play Areas. Please note – If you sign up as a builder, please bring your own tools, or borrow them from someone for the day if you can. There will still be some tools that others have to share, if you don’t have a set of your own! Wear gloves/boots/jeans. Email Matt White at calioptrix@gmail.com if you have any other questions. Please join us for our first quarterly meeting of the year at the DoubleTree by Hilton in the Serling Room. 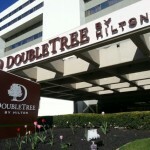 We will have a mixer immediately after in the River Bistro at the DoubleTree. During the Quarterly Meeting on May 5th, STYP will be voting to make an amendment to the By-Laws to allow electronic voting in the annual elections. The purpose is to allow more members to participate in the voting process by allowing electronic voting in addition to the current process of mailing votes to the PO Box by mail. Absentee voting – A member may vote by absentee vote via sending a printed ballot to the STYP PO Box or via an electronic system approved by the nomination committee within 7 days of the election. As a minimum, the electronic system must verify that a person voting is an active member and only votes once.